2. If I Die Will the Past Due State Income Tax Be Null & Void? If you fall behind on your income taxes, the amount you owe to the Internal Revenue Service can grow quickly. You are responsible for the original principal amount, and you may have to pay a penalty as well. As long as you have an outstanding balance, the IRS will continue to charge interest. If you are unable to pay your income taxes, IRS hardship rules mean you have options available to help you deal with your outstanding balance. Even if you don’t think you’ll have the money to pay your income taxes, it’s important to file your return on time. Holding back on filing to try to avoid the problem isn’t the best solution. Before you submit your return, go over your Form 1040 and any supporting schedules carefully. You’ll want to make sure that you haven’t made any errors when you input your figures onto the forms that would make a difference in the amount of tax you need to pay. Did you include all the deductions you’re entitled to claim? You’ll want to make sure you didn’t overlook one or more deductions on your return, since they can make a difference in your balance, too. Once you have gone over your return a second or even a third time to make sure that you haven’t overlooked anything that will affect the amount you may owe, go ahead and file your return. Taking this step will help you avoid a penalty for late filing, which will be five percent of your unpaid taxes. The IRS hardship rules were put in place to help you and your fellow taxpayers. Before you start exploring your options, consider whether you can pay any amount toward your income tax balance. If you can come up with some funds to pay down your income taxes, you may be able to save some money on interest. If your request for a payment plan is approved by the IRS, you can make monthly payments toward your tax debt. If you are applying for a short-term payment plan, you will not be charged any setup fees. A short-term payment plan would allow you to pay off your tax debt in 120 days or less using automatic payments from your checking account, a credit/debit card or a money order. You can apply online, by phone, mail or in person. The advantage to applying online is that you will find out right away if your agreement is approved. If you decide to make your request by mail, it’s a good idea to pay something toward the amount you owe while you are waiting for an approval decision, since interest will continue to be added to the amount owing in the meantime. Long-term payment plans which involve automatic withdrawals from your bank account include a setup fee that varies depending on whether you set up your payment arrangement online, by phone, mail or in person. You can also arrange a long-term payment plan using a different payment method. The IRS will accept credit/debit cards, checks or money orders. If you want to pay off your tax debt all at once, you’ll need to consider all your options. Can you borrow the funds you need from family members or friends? Have you tried to get a loan from your bank? The answers to these questions are important: if you have exhausted your other options to get financing, you may be able to get a 401(k) hardship withdrawal. 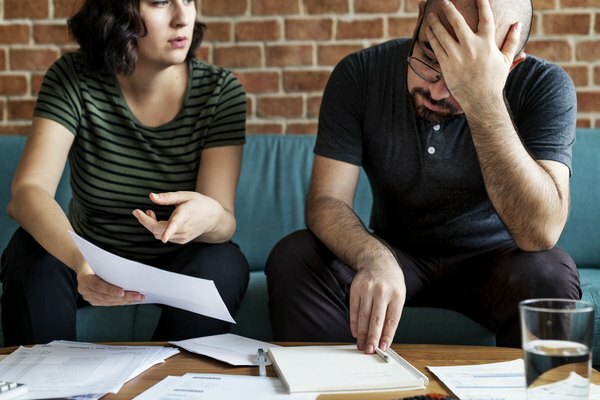 According to the IRS, a hardship distribution is made “because of an immediate and heavy financial need, and limited to the amount necessary to satisfy that financial need.” The exact terms and conditions that will allow you to get a hardship distribution will vary, depending on the company administering your plan. If your plan administrator allows you to make a 401(k) early withdrawal, you may be required to take out a loan from your account first. Then, you will only be able to withdraw the funds you have contributed to the account personally. Starting in 2019, this rule will change. The Bipartisan Budget Act will come into effect, allowing your withdrawal limit to expand to include the company matching contributions and amounts the account has earned as well as your contributions. This gives you a bigger pool of money to draw on; however, keep in mind that the amount you withdraw is taxable. The IRS agrees with you that the amount of your tax debt may not be accurate. The IRS needs to have accurate tax records to consider your offer. This means you’ll need to be completely up to date on all your income tax filings. If you’re required to make quarterly federal tax deposits, these must be up to date for the current quarter. What if you can’t pay anything on your tax bill at all because you need to put everything you make toward your basic living expenses? There’s a solution. You can ask the IRS to delay collection on your tax bill until your financial situation improves. The IRS can attempt to collect back taxes for 10 years from the date they were assessed. Keep in mind that even if you are successful in having the collection delayed, interest on your tax debt will continue to grow. The IRS may request that you continue to provide updated financial information to confirm that your financial situation is still hindering you from making payments. In many instances, dealing with the IRS is straightforward. Your IRS notice has the information you need for next steps and you will get responses in a timely manner. If this isn’t the case and you are experiencing financial hardship, you can contact the Taxpayer Advocate Service. Your local office may be able to help you get answers and results more quickly than you have been able to on your own. Howard S. Levy: Is There Such a Thing As a “Hardship Status” With the IRS? Can Filing Taxes Quarterly Save Money?